JSES is a think-tank program founded by high-schooler Luca Pistor where self-motivated middle- and high-school participants can bring their original ideas and develop them with some of the best social entrepreneurship faculty and leaders in the world. Working in teams, participants turn their ideas into a business concept plan that they pitch to a panel of experts in a supportive environment. Luca Poutoa Pistor founder of The Junior Social Entrepreneurship Summit (JSES). The smiles on the students’ faces lit up the Farmshop Santa Monica space Friday, Aug. 21 as the 12 Junior Social Entrepreneurship Summit participants stood up one at a time to present their ideas to create positive change in the world, to the friendly Santa Monica audience at Farmshop LA. After spending 40 hours together at the Annenberg Community Beach House, on field trips to social entrepreneurship venues (InVenture, Tom’s Shoes, CoLoft), and at USC, we had grown together as a supportive team. We helped each other develop our ideas under the watchful eyes of our USC mentor, Dr. Elissa Grossman, and two USC sophomores from the Jimmy Iovine and Andre Young Academy. And we enjoyed cuisine created from local produce at Farmshop LA. Luca Pistor: The Junior Social Entrepreneurship Summit is an international, bi-annual entrepreneurship summer camp where kids from the ages of 11-16 can come to learn about social entrepreneurship, and develop their unique ideas for positive social change. When did you start JSES, and why? I founded JSES after a semester in Berlin, in 2010, when I saw the immense cultural similarities between Berlin and Santa Monica. Both cities have a strong start-up scene for entrepreneurs and social enterprise, as well as powerful international appeal and a commitment to sustainability. It seemed like a great setup to launch JSES as a cultural exchange program for middle and high school students. What is the impact of JSES so far? We have held five week-long summer programs (three in Berlin, two in Santa Monica) so far, and each of them was a huge success, with happy parents, kids, and mentors at the end! We have reached approximately 150 students, and have been invited to new locations that we are developing. Where was JSES held this year? JSES LA/Santa Monica was based at the Annenberg Community Beach House, with a day on-campus at the USC Lloyd Greif Center for Entrepreneurial Studies, which is our university sponsor of two years. We are very thankful for their support. JSES Berlin was held at the Technical University, a block away from their Centre for Entrepreneurship. What did the kids do at JSES? JSES is a free-form “think tank for kids,” but it has the structure and design of USC’s celebrated Entrepreneur Program as well. During JSES, students learned, laughed, and brought in ideas for sustainable projects and products. 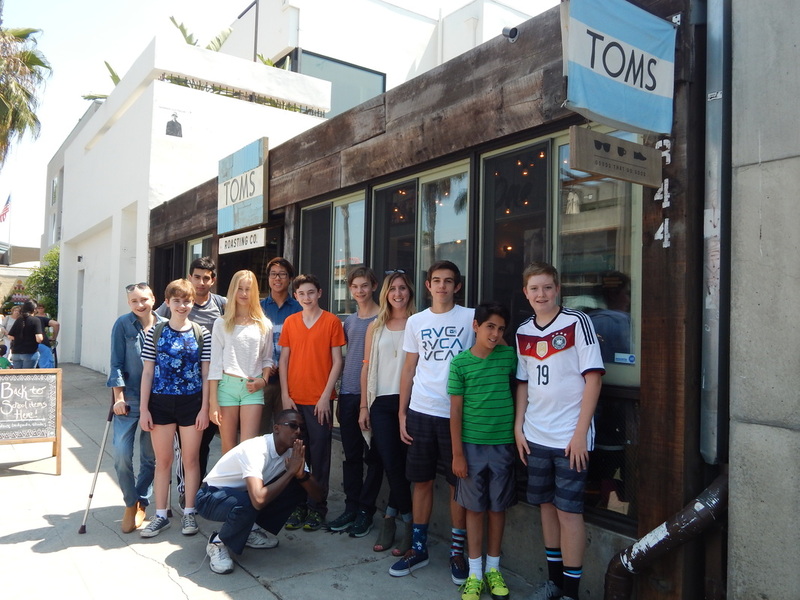 Our USC mentor, Dr. Grossman, and her USC team helped the students take the projects to the next level. JSES is taught by high-ranking mentors and professors from top universities, where students learn the basic business skills of what they will need to bring their innovative ideas into the world. What ideas came up this year? There was a program to recycle medical products for use in developing countries, an app to anonymously help teens struggling with anxiety and depression, supported by local therapists and schools, and a program to promote teen heart health, supported by three cardiologists (Dr. Karol Watson, Tamara Horwich, Dr. Marcella Calfon Press), so that teens will be less at risk for heart attacks as they grow up. How has JSES changed over time? When I founded JSES in 2010 it was an independent-study program meant to be a cultural exchange program for kids in Germany and America. It has expanded into an international program. This summer, JSES Berlin welcomed six eager American students, who flew in to take part in the five-day program and meet students from Germany, and Spain, where we met on two university campuses for an intensive and deep dive into social entrepreneurship, visited Ashoka, Social Impact Lab, Wheelmap.org, and spent a day visiting Professor Hanns-Christian Gunga, at the Center for Space Medicine in Berlin. How can I learn more about JSES? Our www.jsesinternational.com website has both an application inquiry and a contact form, and you can also send me an email at luca.jses@gmail.com, or contact us on twitter at @JSES_International. Thank you for asking us about JSES, we hope to see you next year at the beach!